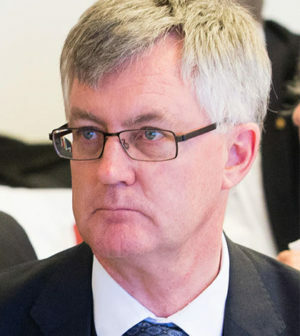 Department of Prime Minister and Cabinet (PM&C) secretary Martin Parkinson called the security breach "extraordinary" (Image courtesy: Crawford Australian Leadership Forum/Flickr). The Australian government is implementing information security reforms in the Australian Public Service following the revelation that secret cabinet documents ended up in a second hand shop. In February, broadcaster ABC reported that papers containing details of five cabinet meetings contained in a filing cabinet had ended up being sold to a member of the public in Canberra in 2016. 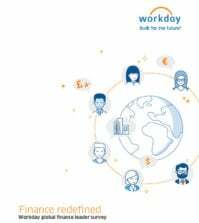 The government has now released a report on the incident originally submitted to it in March, and reported on progress in implementing its recommendations, which will introduce extra safeguards for civil servants. In a statement, Department of Prime Minister and Cabinet (PM&C) secretary Martin Parkinson said: “I am deeply concerned that such an extraordinary lapse of security could occur. Parkinson said that, following the report, his department has already introduced a system to digitally track the movement, ownership and disposal of secure cabinets, supported by revised protocols and an audit programme to ensure compliance.New security training packages are also being rolled out, tailored for different levels of seniority. Parkinson said that the department is also progressively refreshing all policies, guidelines and procedures so that “they are clear and fit-for-purpose, following a review of our security risk assessment”. A programme of cultural change, supported by a communications strategy, is also being rolled out. The report, written by retired civil servant Ric Smith, also recommended that departmental secretaries and agency heads should review protective security management arrangements in their organisations, paying particular attention to high level governance and security culture. Consideration, it said, should be given to whether secure containers should be destroyed rather than earmarked for public sale at the end of their useful life. Smith recommended a second review in a years’ time, and Parkinson has asked other government agency bosses to audit their own departments’ disposals of secure containers. The Australian Federal Police investigation into the incident concluded that the disposal of the cabinets was down to “human errors in the record keeping, movement, clearance and disposal of document storage containers by PM&C in 2016, rather than a deliberate unauthorised disclosure”.